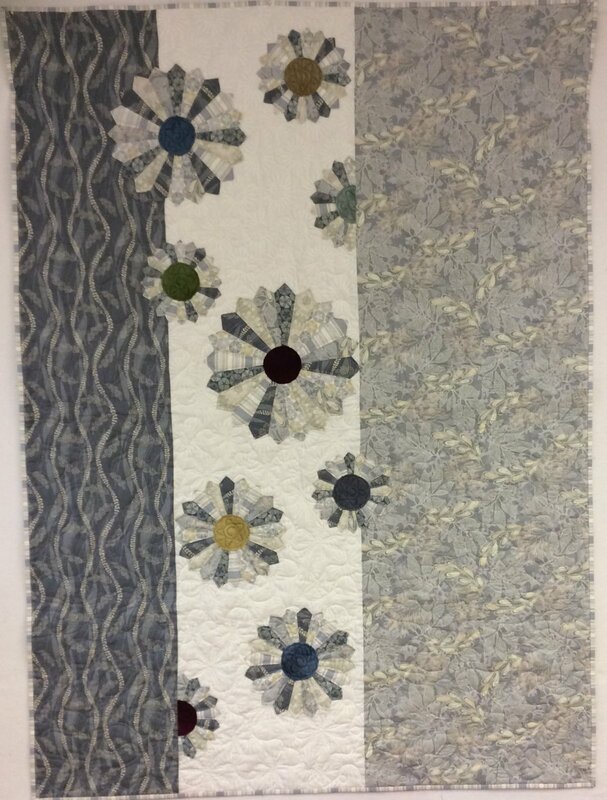 Designed by Patchwork Garden and featured in "Quilt Sampler" magazine, the Delightfully Dresden quilt is an easy-to-piece Dresden quilt which is spiced up with a touch of wool applique on this vertical row quilt. The finished quilt measures 51" x 68". Don't forget to add a copy of the Fall/Winter 2015 "Quilt Sampler" magazine which contains the pattern, along with a great article about Patchwork Garden!